The link included is this. Superwash). 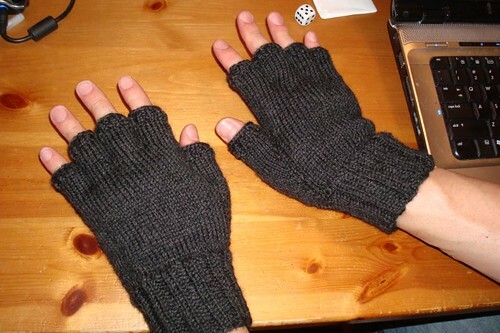 I spent five days knitting them. Then some absolute stranger on the internet thinks he can just order up a pair for $2?? How enraging that he imagines that my time--or any human being's--has so little value that this would be a reasonable offer. I was going to suggest that he wait until a similar pair goes on clearance at Wal-Mart but even then I think they would cost more than $2. To quote Liz Lemon, "Nerd-RAGEEEEEEEE!!!"